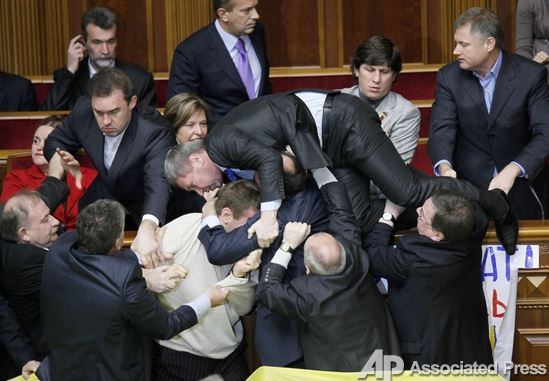 Ukrainian Government in Action: Egg Throwing? Smoke Bombs? Wrestling? This is the new way of running Government. Somehow this is wrong on every level, but one has to smile at the oddness of it all. 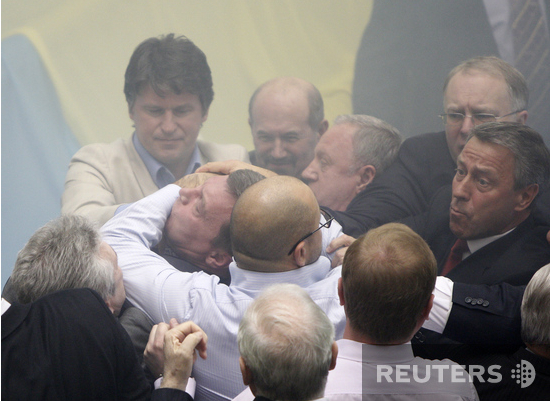 Seems the opposition got into a bit of a tussle. My how interesting it all is. This beats a filibusters in the US for sure. They were having so much more fun. Americans could learn from this. This fellow is Rising to the occasion. Seems the others are not to concerned about him. Boys will be boys. The smoking section. Working on a large project. Well at least one of them is working. I am pretty sure they took up wrestling. Well they might be just hugging. There are 24 “priceless” photos in all. Check HERE for the rest of them. Somehow the photos are better then the videos. They say so much more for some odd reason. They were even considerate enough to cover much of the furniture in an a attempt to keep it safe. How sweet. Something a bit more serious. Nice to see how civilized the Pro Westerners are? 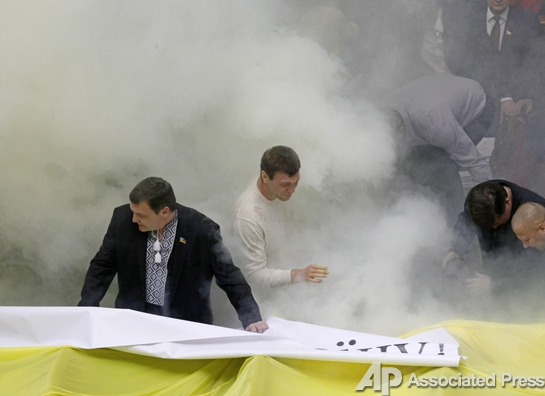 on April 27, 2010 at 7:25 pm Comments Off on Ukrainian Government in Action: Egg Throwing? Smoke Bombs? Wrestling?